Depth Perception & 3D Movies - Stephen Prepas M.D. 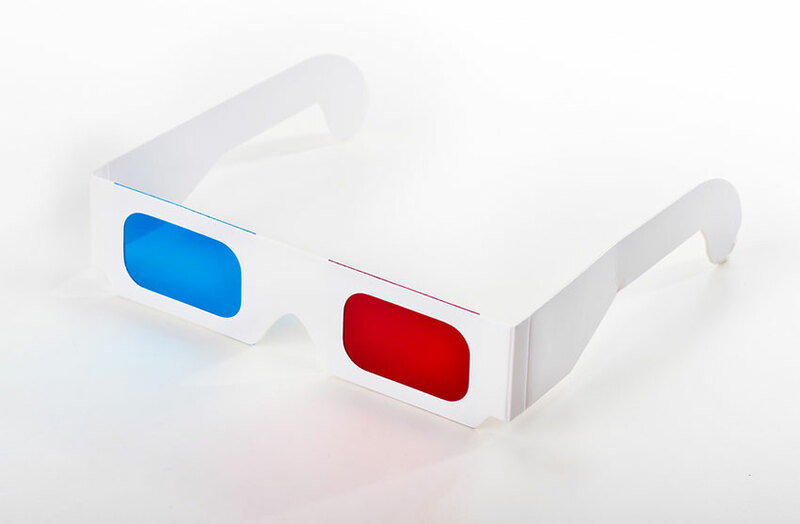 As entertainment ventures into 3D formats, from movies such as “Avatar” to the new 3D TV’s and Video Games, many of us question what effect these new technologies will have on our eyes. Before looking into these effects, it is useful to review what 3D actually is and how we perceive it. 3D stands for “Three Dimension” and refers to the appearance that objects have in space. That is, as opposed to a picture that has the two dimensions of height and width, a real object that we see in front of us has a third dimension, depth. Artists for many centuries have known how to create the illusion of depth in their paintings by using perspective, such as making objects in the foreground larger than ones further back. To appreciate true depth, we need both our eyes. Since they are in different positions, each eye sees a slightly different image from the other, which we call parallax. Our brains don’t see the two separate images as double, but fuse them into one. This “fusion” creates our depth perception. So real depth perception describes our appreciation of an object’s height, width and depth by our eye’s seeing it and our brain’s fusing it. So how does the new (and old) 3D technology create an artificial depth, which can fool our eyes and brains? By using the tricks of parallax, that is sending a slightly different image to each eye. In the old fashioned (and current iMax) movies, two projectors are used, and each lens of the 3D glasses sees images from only one of the projectors. In the new digital 3D movies, the technology is different, but the principal is the same. Only one projector is used, but the different images are rapidly alternated. Each lens of the digital 3D glasses views different images. So the 3D glasses of an iMax movie won’t work for a digital 3D movie, since they are different. With the new 3D “without glasses” movies and games, the different image seen by each eye is determined by very small lenses in the LCD screen rather than the glasses. This technique is known as parallax barrier technology, and requires the observer to be in a very specific location. Newer technology using lenses placed over the LCD screen are being developed as well. These will enable the viewer to move from a fixed position without losing the 3D image, a quality highly sought after in active video games. So why do we perceive these different images as being well in front of the screen? When an object is close to us, our eyes converge (cross) on it. So the 3D display separates the images it wants us to perceive as close and forces our eyes to converge a little to see it as one image. This crossing tricks our brain into thinking the image is closer than it really is. However, it’s still on the screen. If we reach out and grab where it seems to be, we won’t touch anything. And there is the trick that may cause some discomfort or other visual symptoms. Normally, when we look at something close, our eyes do a “near reflex.” This reflex is composed of three parts: convergence, accommodation (close focusing), and miosis (our pupils get smaller). When we look at the artificial 3D of the movies, we converge, but we don’t accommodate. We have to disconnect two parts of our normal near reflex, and that is unnatural. So what problems might we encounter with the new 3D technology? Well, first of all, even if we have no underlying eye problem, this disconnect of convergence from close focusing may cause eye fatigue or headaches, with great individual variation. Some may not notice any problems, while others might do fine at first, but may develop symptoms after a certain amount of time. However, others, who have a small and previously non-symptomatic eye muscle problem, may be more prone to trouble when watching 3D images. For instance, our eyes are supposed to be straight as they work together. Many people have strabismus, a disorder where the eyes are misaligned. Examples of strabismus include a child with crossed eyes, an adult with “wall eyes” (like the late comic, Marty Feldman), and adults with double vision after injuries and strokes. But between “perfect” and strabismus disorders, there exists a transition zone. Many of us have small tendencies for the eyes to drift a little in or out (which we call phorias), and which never cause us any problems. It is possible that the abnormal act of converging without accommodating that the 3D movies require us to do, may make someone with a previously non-troubling phoria more prone to symptoms. Do we know this for sure? No. So, if after viewing 3D movies, TV shows, or games, you notice some discomfort, it’s not just in your head! If the discomfort persists, you may want to check with your eye doctor, whether it is just the inevitable result of the convergence-close focusing disconnect, for which the only treatment is “watch less,” or whether a previously non-symptomatic phoria is adding to the problem. If there is a phoria, perhaps some things can be done to help (glasses, exercises and, rarely, surgery). Can any of these problems lead to long-term problems? It doesn’t seem so, but this is all new. The 3D movies of the 1950’s were never around long enough to say for sure.